Children are deeply affected by their parents’ divorce. 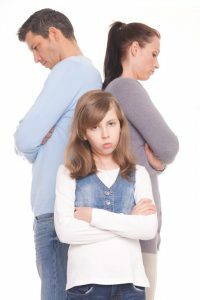 They tend to handle the divorce better, however, when both parents cooperate and act in their children’s best interest. Both parents should be present when the children are told, and the mood should be calm, rational, and supportive. Hostility between the parents should be avoided. They should not be told about the affair at this time. Keep in mind that children often feel responsible for their parent’s divorce. They may feel that their misbehavior was the cause of the divorce. They need to be assured repeatedly, both when they are told about the divorce and then throughout the divorce process, that the divorce is not their responsibility, and that they will always be loved by both parents. 1. Children should be told of the decision jointly by both parents without hostility or anger. 2. They should not be put in the middle of adult conflicts by telling them of the affair. 3. Children need to know they are not responsible for the breakup of the marriage. 4. Children should be told that it is the parents’ decision, and they cannot change it. 5. Children need to know their parents still love them even though they no longer love each other. 6. Children should be given concrete information about how their lives will change. 7. Parents should listen to children’s concerns, and try to minimize disruption in their lives. 8. Children should not be asked to take sides, carry messages, or become your confidants. 9. Children should be given permission to love and enjoy the relationship with your former spouse and his or her family. Try to find positive things to say about them.